In 2016 earthquake with a magnitude of 6.8 damaged Buddhist temples in the ancient city of Bagan, Myanmar. 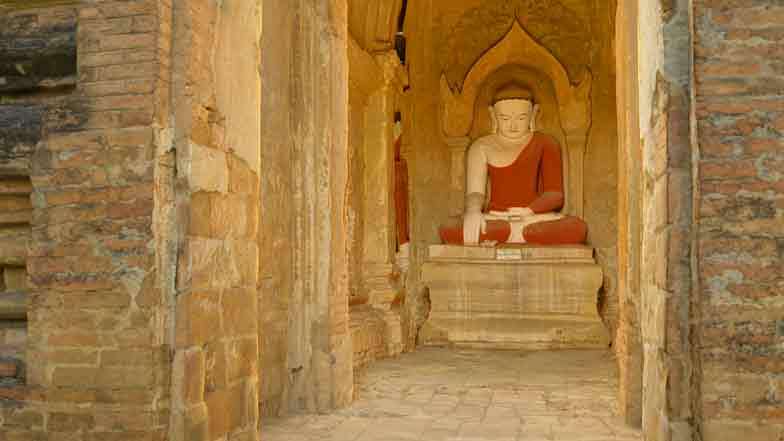 Bagan belongs to the most important archeological sites, not only in Southeast Asia, but in the whole world. During the earthquake, approximately 100 temples were damaged - mostly their spires. The first earthquake that significantly destroyed the temples was in 1975. In the 1990s, the government, military junta, ordered reconstruction of these sites. It was done poorly and with inauthentic materials, thus the original architecture was ignored. Due to this inauthentic reconstruction, the ancient city could not become a part of the UNESCO world heritage list. However, this might change in the future. Last years’ earthquake has been some sort of blessing in disguise as it offered Bagan a possibility for a fresh start with UNESCO. The earthquake has destroyed the flawed military reconstructions, particularly the temple spires which were reconstructed in the 1990s. A non-profit organization called CyArk www.cyark.org is helping with the reconstruction of Bagan. In April 2017, they visited the city with the prime purpose to assist UNESCO and the Myanmar Department of Archeology in the site mapping and providing detailed documentation to assist in the active conservation. CyArk coordinated the mission for Bagan through the Cultural unit of UNESCO Bangkok office with assistance of Duong Bich Hanh, Montira Unakul and Manithaphone Mahaxay. The field team consisted of Anthony Fassero, Scott Lee, Christopher Dang and Kieran Kesner. 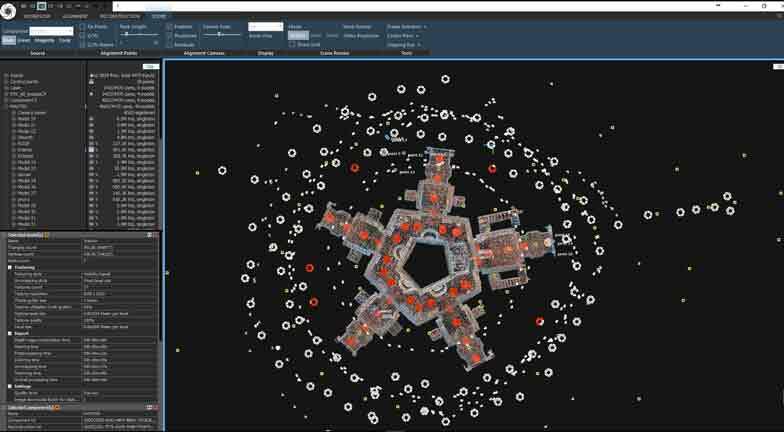 In order to achieve metric precision and photogrammetric accuracy, a combination of drones, laser scans and photogrammetric rigs has been used. This resulted in capturing 4.17TB in total. The work on the site has been divided into aerial documentation of large areas of the site for the purposes of developing GIS maps, and detailed documentation of specific monuments to aid in the active conservation and comparative analysis. The Eim Ya Kyaung pagoda was built in 1242 CE and features a pentagonal floor plan. The temple and associated monastery are located within a walled enclosure. 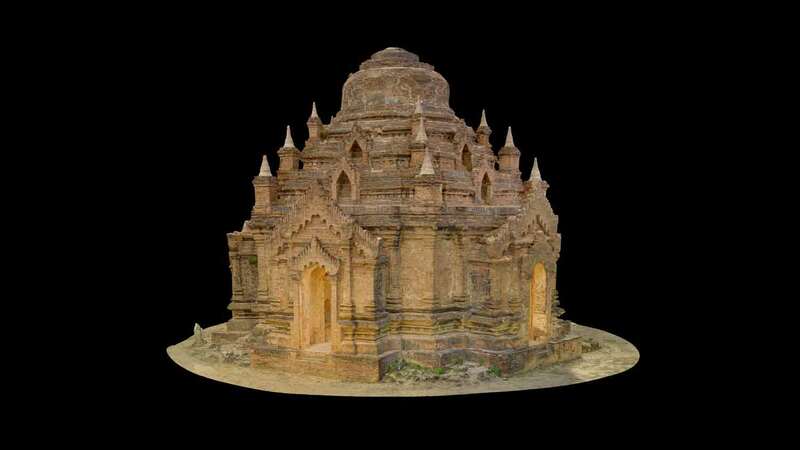 CyArk has returned to document this monument as the site was first documented by them in May 2016, before the earthquake that struck Bagan in August 2016. Using both datasets, CyArk can use comparative analysis to understand how the monument was affected by the seismic activity. Photogrammetric images were used to capture the color and texture of interior and exterior surfaces. 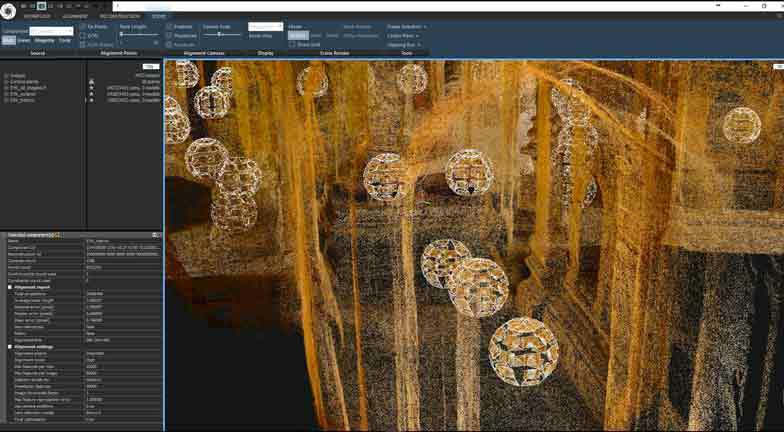 LiDAR scans were performed throughout the feature and surrounding area at a surface resolution of 3 mm to produce a highly accurate and detailed polygonal mesh. All data was processed over a 3-week period, with the work carried out inside RealityCapture (RC) amounting to approximately 1 week. 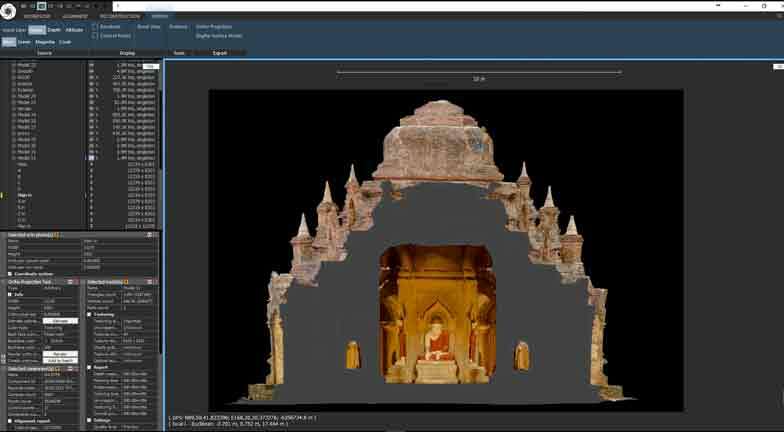 Faro Scene was used to process the scans and generate the E57 point cloud. All photogrammetry images were shot as bracketed HDR, and were processed using Lightroom, XRite, and Photomatix. Images were split into Interior, Exterior, and Aerial group, and aligned into individual RC components (.rcalign). All components were then combined with the E57 using ground control points in RC. 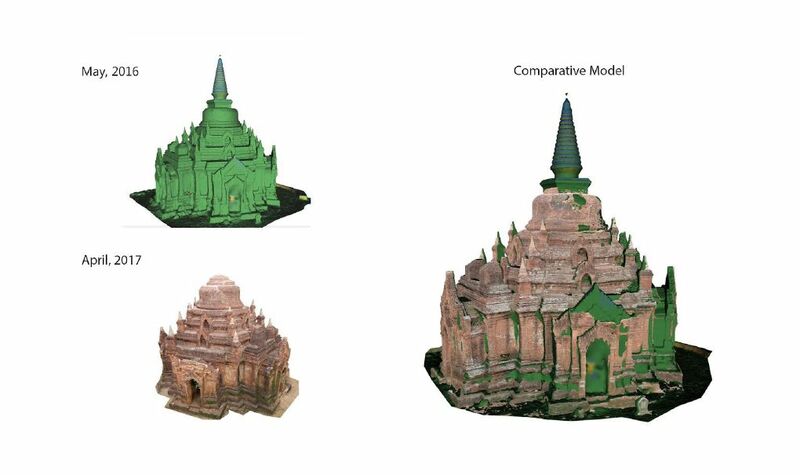 A high resolution model was reconstructed primarily from the LSPs, plus some of the aerial images to ensure definition on the roof. All models were then textured in RC and exported for a final editing and re-assembly inside an external application. All the subsequent refining work, which included removing overlapping geometry, ensuring coverage and consistency of colors across all textures, and border edges, was done using RC, and external modelling, sculpting and painting software. An .fbx file of the environment was generated in animation and modeling software and later re-imported into RealityCapture to produce orthographic tiffs, using the built-in tool. The ortho tiffs were then used to generate architectural drawings which were sent to the site authorities and conservation team. These detailed drawings are essential in the assessment of the post-earthquake structure and will be used to guide any conservation and stabilization efforts on the site. •	409 aerial images shot with DJI Phantom 4 Pro in the Point of Interest mode. •	3055 ground photogrammetry images shot using a GigaPan robotic head.